Pest monitoring Orange or yellow sticky traps can be used to monitor for carrot rust fly. 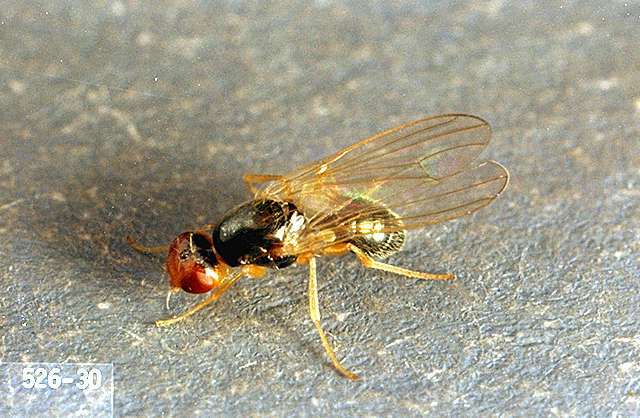 In Ontario, Canada, an action threshold of 0.1 to 0.2 flies per trap per day is used. 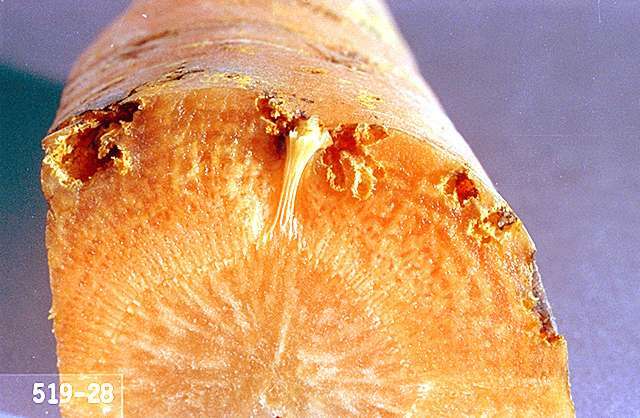 Degree-day accumulations have been calculated for carrot rust fly development. Begin monitoring celery at the second-leaf stage. 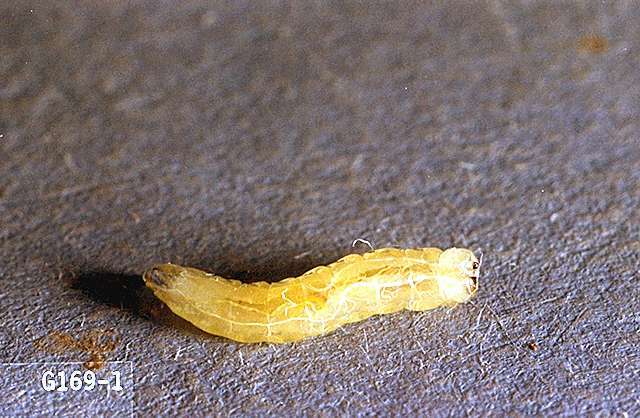 Symptoms of larval attack are wilting and discolored ("rusty") foliage, especially in dry weather. Less severely damaged plants appear stunted.